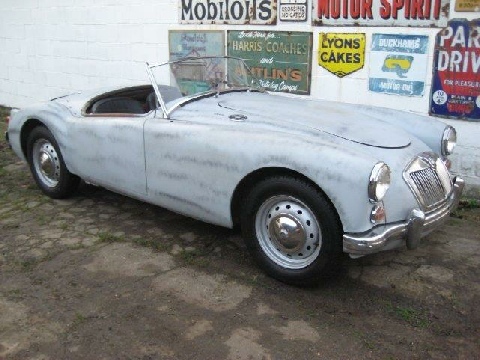 ﻿ 1959 MGA 1600 MKI L.H.D. Californian import. English registered with all necessary paperwork including Heritage Certificate. Very sound original body and chassis. Mechanically recommissioned. Runs and is drivable. The recommissioning work included complete new stainless steel exhaust, new petrol tank, brake callipers etc. The car will require further restoration work to be useable. Currently in primer.